What better way to celebrate his 100th day in office than right alongside several thousand fellow Americans who helped elect him into office? 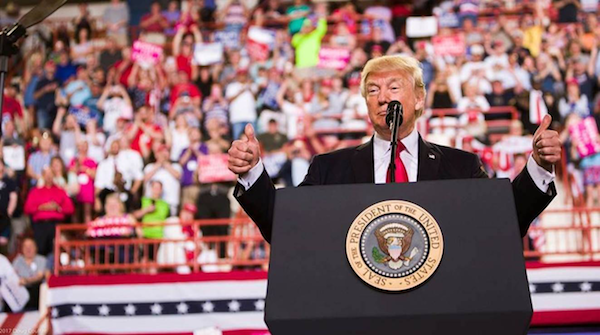 President Trump held a rally in Harrisburg, PA to talk to the American people about everything that was accomplished in his first 100 days, noting that it was only the beginning! Pennsylvania - like many states, has faced numerous hardship in recent years, and President Trump made it clear that he will do whatever it takes, in Pennsylvania and across this nation, to Make America Great Again. Wednesday afternoon, the House successfully passed the American Health Care Act, a bill that would repeal and replace disastrous Obamacare. 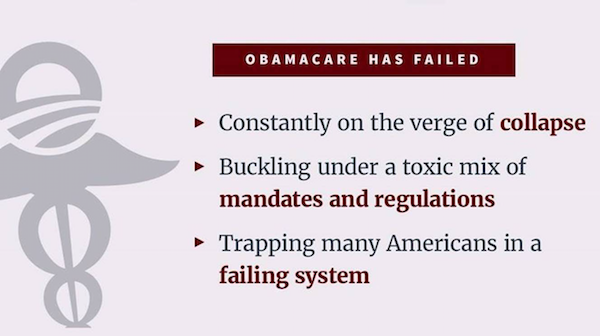 Obamacare has led to higher costs and fewer health insurance options for millions of Americans. The 2010 healthcare law has brought the American people rising premiums, unaffordable deductibles, fewer insurance choices, and higher taxes. This new bill will expand access and lower costs for Americans across the country! This is a big victory with the bill on the way to the Senate for another vote to make it a law. In his first 100 days, President Trump has taken bold actions to restore prosperity, keep Americans safe and secure, and hold the government accountable. 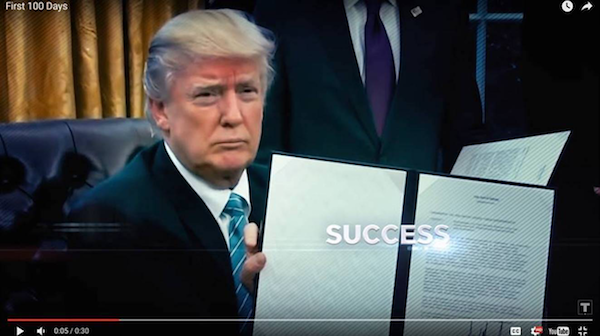 Unfortunately, CNN, NBC, CBS and ABC refused to air our new video titled “First 100 Days," highlighting the President's first 100 days in office. It is absolutely shameful to see the media blocking the positive message that President Trump is trying to share with the country. It is clear that these dishonest news outlets are trying to silence our voice and censor our free speech because it doesn't fit their narrative. Watch the video now by clicking here. 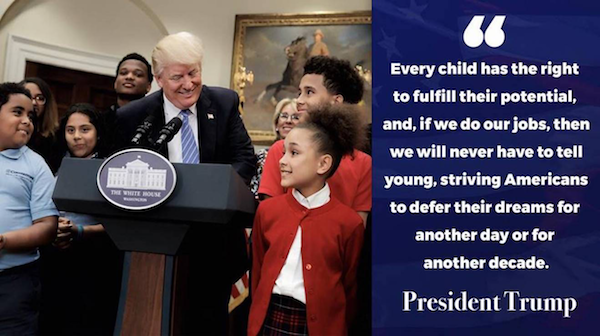 This week, the President welcomed advocates, administrators, teachers, parents, and students to the White House to mark a milestone for school choice. The D.C. Opportunity Scholarship Program, which provides scholarships for private schools to low-income students, proves that school choice works. President Trump could not be more proud to extend this critically important program, and, his commitment to school choice doesn’t end there. President Trump believes that a child’s future should never be determined by his or her parents’ income or area code. The President wants to ensure that the next generation is not trapped in a broken system that puts the status quo ahead of students’ success. President Trump met Prime Minister Turnbull of Australia at an event commemorating the 75th anniversary of the Battle of the Coral Sea. 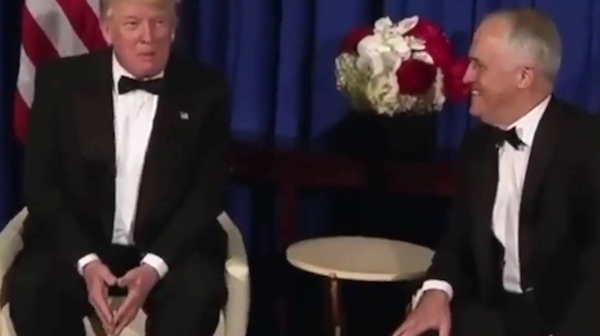 President Trump thanked Prime Minister Turnbull for traveling to New York for the commemoration, a gesture which shows the deep ties between the United States and Australia. The President and Prime Minister Turnbull discussed the enduring bonds, deep friendship, and close alliance between the United States and Australia that have been critically important to the maintenance of regional and global peace and security. Since 1963, the White House has honored America’s small businesses by marking this week National Small Business Week and recognizing the tremendous contributions that small businesses make to our country every single day. 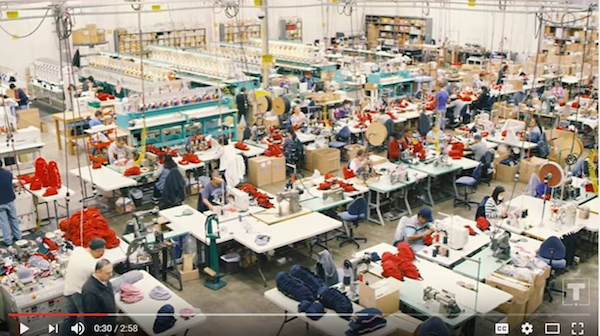 Just this weekend, President Trump declared that “small business owners embody the American pioneering spirit and remind us that determination can turn aspiration into achievement.” Watch a video on a personal small business success story from the company that makes our iconic “MAGA” Hats by clicking here. Still looking for a gift your mom will truly love for Mother’s Day? Look no further than our exclusive Mother’s Day bundles! 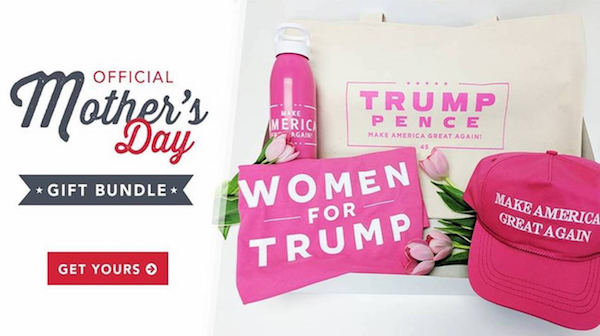 Each bundle includes a shirt, water bottle, canvas tote, and pink Make American Great Again hat. Order now to get it in time for her special day by clicking here. Make no mistake this is just the beginning in our fight to Make America Great Again. For the last 100 days, President Trump has been working hard to deliver every single day for the great citizens of our country. He is keeping one promise after and another. It's time for all of us remember that we are one people with one great American destiny. We are Americans and the future belongs to all of us with hope in ourselves, and patriotism in our hearts. We will continue to Make America Great Again.